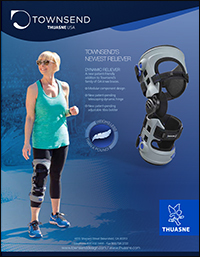 The Dynamic Reliever is a new, patient-friendly addition to Townsend’s OA knee braces, with a modular component design; new, patent-pending, telescoping dynamic hinge; and new, patent-pending, adjustable tibia bolster. 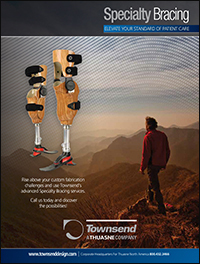 Rise above your custom fabrication challenges and use Townsend’s advanced Specialty Bracing services. Call us today and discover the possibilities! 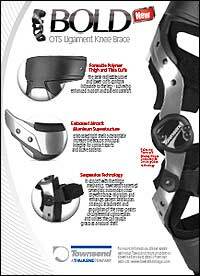 The new BOLD OTS Ligament Knee Brace with formable polymer thigh and tibia cuffs, embossed aircraft aluminum superstructure, and suspension technology for enhanced support and patient comfort. 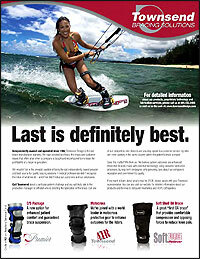 Last is definitely best. 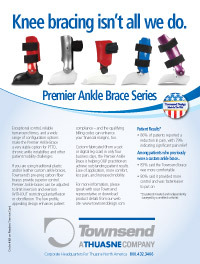 Indepedently owned and operated since 1984, Townsend Design is the last brace manufacturer standing. 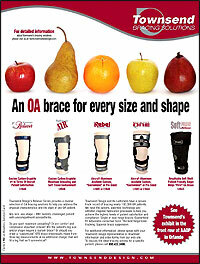 An OA brace for every size and shape. 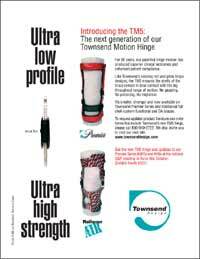 Want the closest replication of true knee motion in a brace? 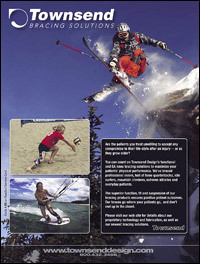 Townsend Design, leading manufacturer of knee braces and orthotic products, provides it! Let us tell you more!